It’s hard to figure out how to do your part to make the world a better place. Sometimes you just need to get out there. 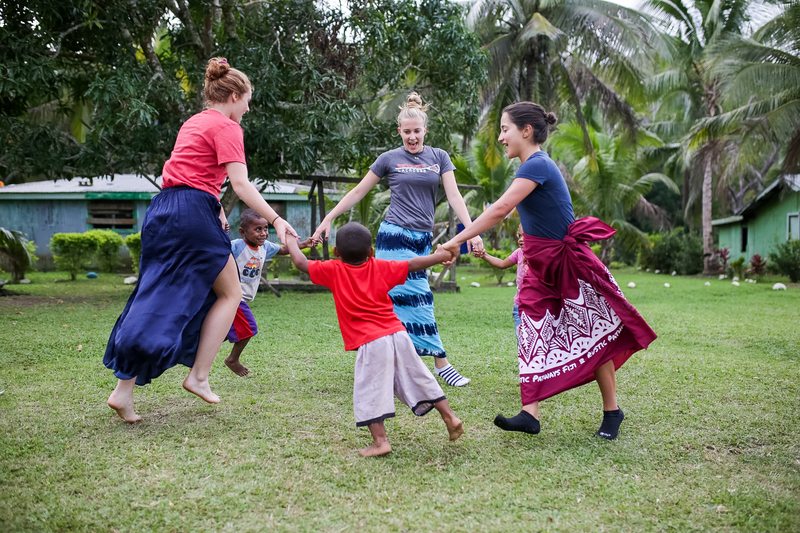 Whether you’re looking to assist families with home-building projects in Cambodia or the Dominican Republic, help school children learn English in Fiji, Tanzania, or Thailand, or just explore indigenous cultures in Costa Rica or Peru, Rustic has the right program for you. Spots on these programs are very limited! See below and click the links for more info ? Join one of our most unique service adventures aboard Rustic Pathways’ boat in Cambodia. Travel around the Tonle Sap Lake and visit villages where thousands of families live and work in homes that float like houseboats. Stay with trusted host families and fully immerse in their day-to-day lives. 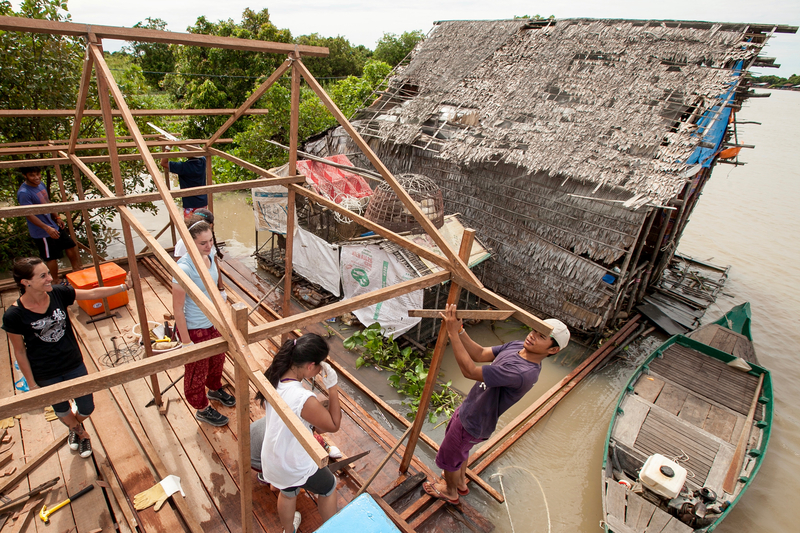 Work alongside these families to repair and build new floating homes for the community of Prek Toal. Visit Siem Reap, one of Cambodia’s most legendary destinations, and witness the breathtaking stone fortresses of Angkor Wat, Angkor Thom, Bayon, and Ta Prohm. Experience two very different sides of the Dominican Republic during this immersive program. Leave the resorts and tourist destinations behind as you travel to the bateyes—underserved communities of predominantly Dominican sugarcane workers of Haitian descent. Listen to stories from local farmers, mothers, leaders, and youth, and contribute to service projects designed to create lasting improvements in these communities. Travel north to experience a completely different side of the country. Reflect on your time in the bateyes amid the turquoise waters and white sand beaches that make the country one of the world’s top tourist destinations. Join a grassroots project designed to support basic needs within the rural Fijian community, such as education or access to health care. Live in pairs with a host family that will open cultural doors and introduce you to the Fijian lifestyle in the Nausori Highlands. Contribute to the ongoing development of a school and lead English enrichment programs for students in the village. Travel to the Yasawa Island chain, where you’ll live in a tent on the beach. Snorkel, swim, kayak, and explore clear tropical waters and pristine beaches on this island paradise. Start your adventure with visits to Ollantaytambo, Machu Picchu, and Cusco—the perfect introduction to Peru. Live and work at Lake Titicaca among indigenous people who subsist much as they did hundreds of years ago. Venture to ancient highland villages and remote island towns for a variety of service projects. From Lake Titicaca, travel to Peru’s canyon country. Plunging to twice the depth of the Grand Canyon, Colca Canyon provides a spectacular setting for the last days of your trip. Watch condors soar, mountain bike, soak in natural hot springs, and experience the diversity of this beautiful country. 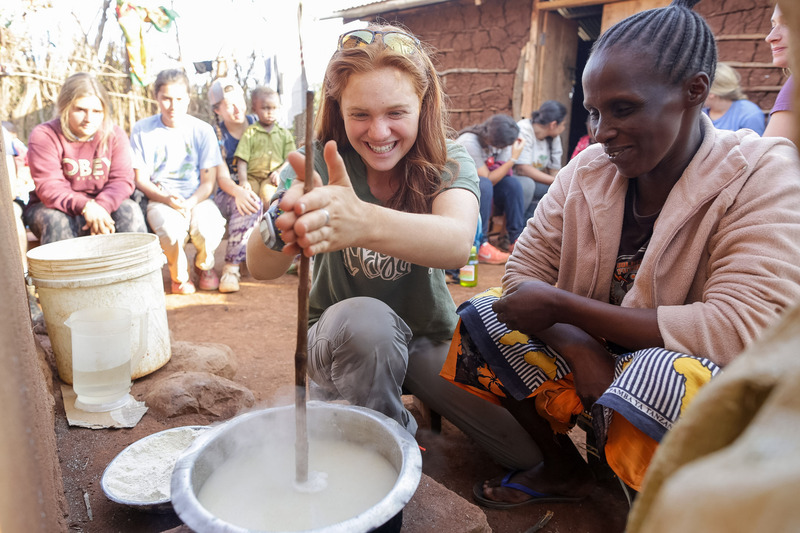 Experience rural Tanzania on one of our most rustic programs as you work with village leaders on service projects to improve basic living conditions and infrastructure. 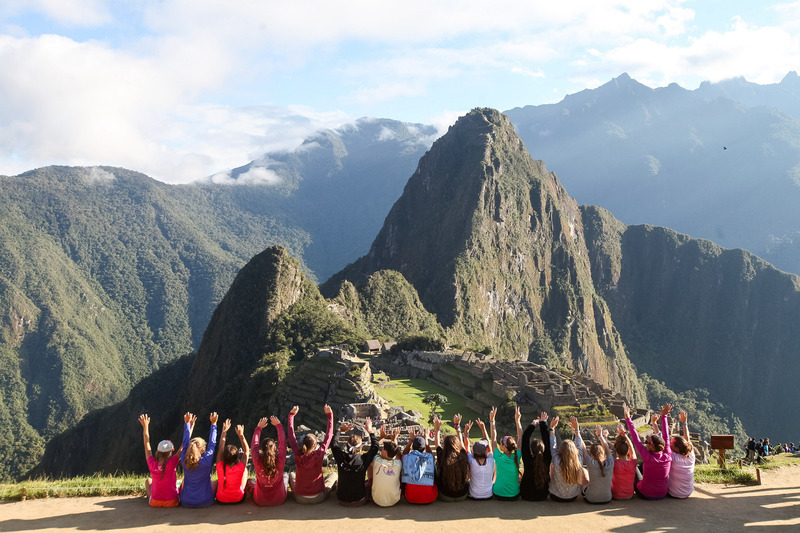 Partner with small groups of students for educational exchange activities to build communication and teamwork, and forge friendships in the classroom and on the soccer pitch. Take a break from service for a remarkable cultural excursion. Hunt for small game with the nomadic Hadzabe people, one of the last remaining hunter-gatherer tribes before a safari in one of Tanzania’s most iconic national parks for the chance to spot Africa’s big five game animals. Develop an understanding of the marginalized Karen people in the mountains of northwestern Thailand. Start at the Rustic Pathways Children’s Home, a year-round facility that offers access to education for ethnic Karen students. 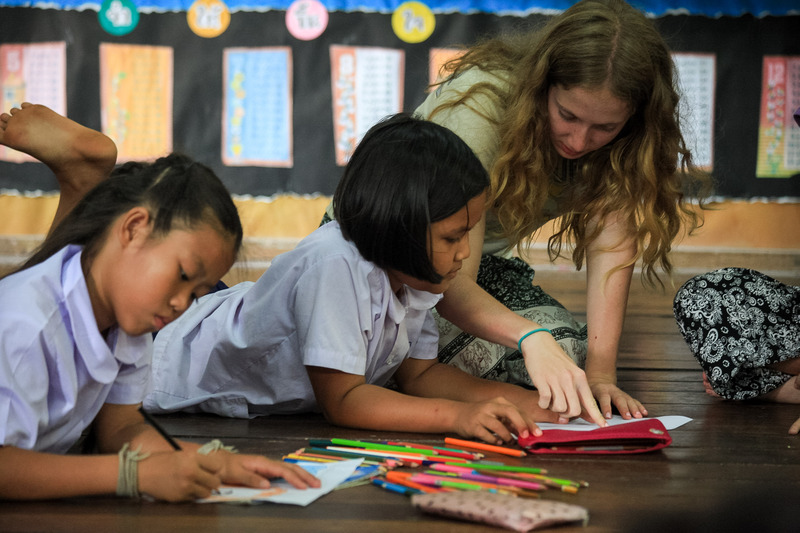 Learn about their lives, help them improve their English, and explore Mae Sariang together during cultural outings. Visit a refugee camp home to more than 13,000 Karen refugees who have escaped civil unrest in Myanmar. Learn about the importance of family in Karen culture, reflect on how different life can be from village to village, and return home with a new perspective. If you’re interested in international community service trips for high school students and one of these programs isn’t the right fit, explore our Critical Issues programs designed to give students like you the skills they’ll need to take action in their home communities.